I know a lot of folks are thinking about what is the best thing that has happened to them this year and honestly all I can think about are my blessings. Our life experiences alter the way we see life and in my case the death of my mother and the birth of my children have been the two biggest life changing expeiriences. I am changed because of them but I am grateful for the change. I may not have my mother with me but because of her death I learned that life is truly short and precious. And that is not something to be sad about but something that can help you focus on all the good and blessed things in your day instead of drowning in the hard and disappointing realities. My first son has a classroom of really great classmates, the teacher is spectacular, and the moms are all sweet and kind. Very hard to have all three in a school experience. My daughter is having the best year education wise and I hope there is more to come for her. My baby has turned four and reminds me to squeeze them all a little more and little harder because time does go by so fast. The never-ending support, friendship, and kindness that I get from my friends Brittany and Nick. Seeing my best friend Jenny while in Florida (she lives there) and having one special day together. I have known her since I was twelve and she is like a sister to me. Getting told I don't have to pay out of pocket for my new leg braces and being fitted for new ones that will come hopefully in the new year. Rising above all the messed up things that happen to me blogwise and still blogging and still loving it! Being able to watch my children fall asleep. Being able to find my way and where I want to focus myself in the new year. Having my husband listen to all my daring dreams and not dismiss them but listen and help me find my way to make them come true. My loyal and super kind readers who keep me going and remind me to never give up! 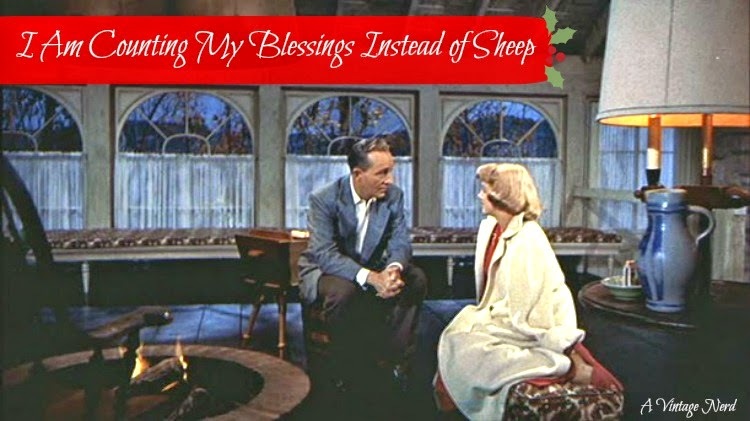 For this holiday season, will you be counting your blessings? If so, what blessings are you grateful for? Merry Christmas and Happy Holidays to you all. I hope they you each have a restful and enjoyable day filled with love and joy. I am blessed to have a house to live in and a husband who loves me and three baby birds to love on. I'm not sure what 2015 holds for me but I hope it is awesome! Truly beautiful post, sweet Daffny. That song has influenced and inspired me throughout my whole life. Each line has come to my life during different circumstances more times than I can count and the general message is one that I take to heart all year 'round.